Did you know about 40% of hair loss sufferers are women, and the phenomenon can be particularly devastating for them? 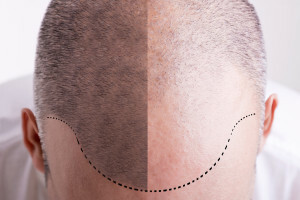 Many men and women are traumatized by balding, this makes them especially vulnerable to all manner of hair loss “cures” and the possibility of spending lots of money, time and emotional investment on ineffective treatments. Heredity, Hormones, Stress, Chemotherapy & Radiation, Male Pattern Baldness, Alopecia, Thyroid Disorders and the list goes on. * Miracle cures — like thickening shampoos or standing on your head, are nothing more than snake oil. * Washing your hair every day causes hair loss or shaving your head makes it grow faster “NO IT Doesn’t”. * There is no fast solution ,with some medical issues there is a quick fix, a person goes on medicine and it”s under control.There is no one thing you can put on the scalp or take to fix the problem.